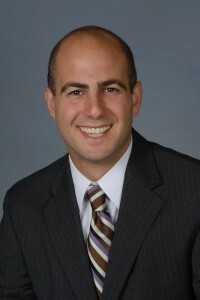 Daniel Kubikian DMD, Haddonfield resident and owner of South Jersey Periodontics and Dental Implants in Washington Township, has been named one of the top periodontal specialists in the region by both patients and peers. In June, Kubikian was voted to the South Jersey Magazine Top Dentists 2015 Readers’ Choice list, which was compiled from thousands of responses. Kubikian is also proud to have been nominated as top in the field of periodontics recognized by his peers in the July issue of New Jersey Monthly. Earlier this year, readers from throughout South Jersey named his practice him to the SJ Magazine 2015 Best Dentists list. These awards are the most recent accolades received by Kubikian and the practice, which specializes in the comprehensive treatment of periodontal disease and advanced dental implant placement. A graduate of the School of Dental Medicine at The University of Pennsylvania, Kubikian is board certified as a Diplomat of the American Board of Periodontology and is an Assistant Clinical Professor in Department of Periodontics at the University of Pennsylvania. He is a featured lecturer and, in 2008, Kubikian founded the South Jersey Dental Study Club which meets monthly and provides continuing education lectures to the dental community from prominent national and international lecturers. He is a member of the American Dental Association, American Board of Periodontology, American Academy of Periodontology and Academy of Osseointegration. South Jersey Periodontics and Dental Implants, LLC is located at 340 Egg Harbor Road in Sewell and offers flexible appointment scheduling Monday through Saturday and participates with most dental insurances to maximize patients’ benefits. For more information, visit www.sjperio.com or call (856) 256–7778.